WELCOME TO THE BILLION COIN COMMUNITY FORUM! AND ALLOWED TO ALL ACCESS IN THIS FORUM. Step 3: PASTE THE COPY FORMAT ABOVE THEN FILLED UP WITH YOUR DETAILS AND INFORMATION. PLEASE ATTACH A SELFIE PICTURE HOLDING YOUR VALID ID WITH A CLEAR AND READABLE SHOT. OR A VIDEO TESTIMONIAL ABOUT TBC. FOR VIDEO INTERVIEW AND SCREENING. Step 6: THEN WAIT FOR THE FORUM OFFICIALS REVIEW YOUR INTRO AND APPROVE YOUR REQUEST TO JOIN OUR THEBILLIONCOIN COMMUNITY FORUM. *Why you joined in this community: I want to exchange my all tbc to btc. *And what you expect from the community: Tell Reliable Exchanger for exchange tbc to btc. *Tell us more about your self: I am retired and just trying to survive in this new Fast Paced World. 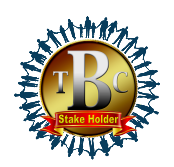 *Why you joined in this community: I truly do believe that TBC is the future of our financial world. We Can make this happen. *What you can do for the community: I can be a member in support of eager young people making the way to a new future. I will help when needed but do not actually know where to start. *And what you expect from the community: I only expect to be treated with respect and dignity. Nothing more. I am old and sometimes forget things. I start projects and get distracted by family and friends with other stuff. This keeps me from making a "commitment" to others that would depend upon my support for ongoing interactions. I am sorry for this but it is what it is. I only want the BEST for everybody.